For a fleet manager, accidents are unfortunately not rare occurrences. To save costs, improve recovery and minimize the impact to your operations, it is important to have an effective accident management program in place. Understanding the benefits of process improvements is key in managing post-accident efforts and keeping expenses down. An accident management program provides a consistent way to process claims, from the first notice of loss (FNOL) through the settlement process, including temporary or permanent replacement vehicles if needed. A good program includes expert crash analysis, repair evaluation and estimate validation, and negotiation with repair shops when needed. The key to building a good program is reliable, immediate, comprehensive information. Here are three ways automated crash data and reporting can become the foundation of effective accident management. The starting point for accident management is FNOL—the initial reporting of loss, theft or damage of an insured asset. Traditionally, the FNOL process has been started with a phone call to the insurance company, which kicks off a costly, often highly manual claim routing and processing procedure that can take several days. The FNOL is important because it lays the foundation for nearly everything that follows it in the management of a crash. A speedy, reliable FNOL can do a lot to streamline the rest of the claims processing experience for both the insurer and the insured. Automating the FNOL and providing comprehensive initial damage estimates via intelligent telematics solutions can improve accident management and claims processing events from impact to resolution. Another key component of accident management is assessing loss recovery, or subrogation. Automated post-crash reports provide additional detail about the collision in near real-time. Available information such as severity, force and direction of impact, speed before the crash and other event data can be integrated with other systems such as dash cam footage and police reports to reconstruct how the crash occurred. This can help identify which claims are eligible for subrogation. The more reliable and comprehensive the data, the faster these claims can be identified—greatly shortening the recovery process. Finally, automated crash assessments help protect against false claims by fleet drivers or other involved parties. This benefit helps keep costs down and provides an added layer for peace of mind. When an insurer knows your crash data comes from a reliable source that can be trusted, it can shorten the claims process. 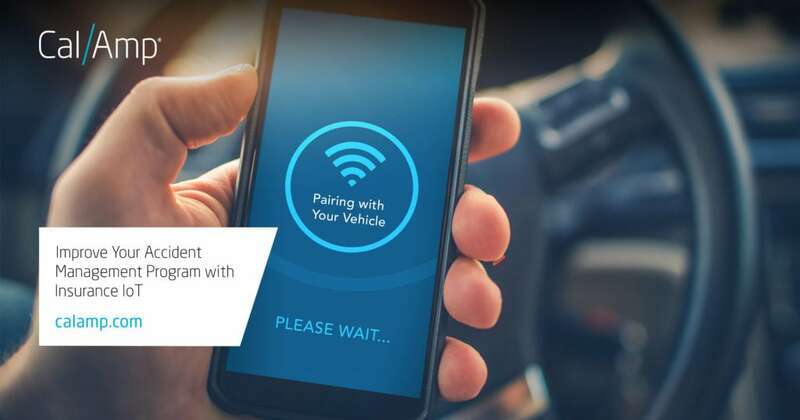 CalAmp telematics gateways include CrashBoxx technology that helps automate FNOL, provides comprehensive post-crash reporting and helps prevent false claims and insurance fraud. Unlike most connected vehicle solutions, CrashBoxx is not based solely on accelerometer technology. It employs sophisticated proprietary algorithms that enable extremely reliable and accurate crash detection and reporting. To learn more about CalAmp solutions for accident management, please visit our Insurance Telematics solution page here.